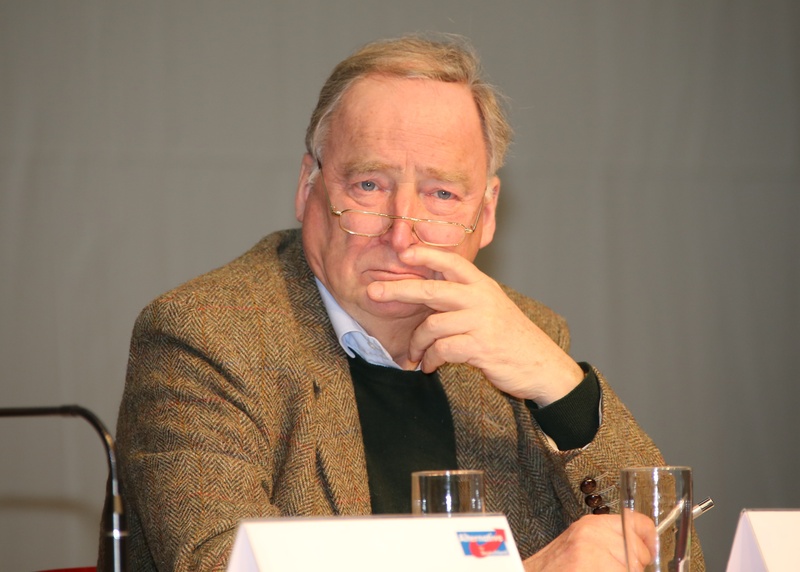 Alexander Gauland, national conservative and a former CDU official, looks like the presumptive leader of the AfD once they enter the Bundestag after the September election. Except for The Left and the far-right AfD, all parties had endorsed Emanuel Macron prior to Sundays vote in France — so their relieve over his first round election success came to no surprise. SPD chancellor candidate Martin Schulz even congratulated Mr Macron personally and later called on “all Europeans” to fight for Mr Macron, as did Peter Altmaier (CDU), Head of the Chancellery. On transatlantic relations, Chancellor Angela Merkel was apparently successful negotiating trade policy: Reportedly, in her tenth attempt she managed to convince US President Trump that trade is EU competence, and no separate national deals would be possible. He now supposedly considers to prioritise TTIP over a trade deal with the UK. Nevertheless, Mr Trump’s top trade official warned that the EU would have to compete with China and Japan on the President’s priority list. On Tuesday, Ms Merkel met Mr Trump’s daughter Ivanka Trump on stage when attending the W20 conference as part of the German G20 presidency. While no matters of trade policy were discussed, Merkel made it a point to sit right next to Ms Trump at the gala dinner held on occasion of the conference. According to press reports, Merkel, who was irritated when seated to Ms Trump during a session at her recent visit to the White House, now considers it a priority to forge a relationship to the President’s daughter. At the AfD party convention, Chairwoman Frauke Petry had pinned her political future to a motion which expressed the centrist will to enter government as soon as possible — but party delegates said no. Like the party’s founder Bernd Lucke, whom she herself had toppled, Ms Petry now sees ever more openly extreme candidates representing the AfD for the election: Alice Weidel and Alexander Gauland will campaign on a programme that covers the right fringe’s best of: closed borders to immigrants, no Euro, no women’s rights. On global affairs the positions are confusing: The US may be „Germany’s foremost partner“ but only on „a relationship at eye level that is based on shared interests“. WTO deals are welcomed, but CETA, TISA, and TTIP despised for the sake of „German jobs“. Following Bavaria’s state-election in 2013, Prime Minister and CSU party chief Horst Seehofer announced he would end his political career after this term in 2018. He changed his mind: This week he announced plans to lead his party once more into state elections. The party, never critical of its leaders, welcomed the move. For this year’s federal campaign, Bavaria’s current Interior Minister Joachim Herrmann is to become lead candidate, as well as the CSU’s candidate for Federal Minister of Interior Affairs. Previous Entry:Is the honeymoon over, Herr Schulz?